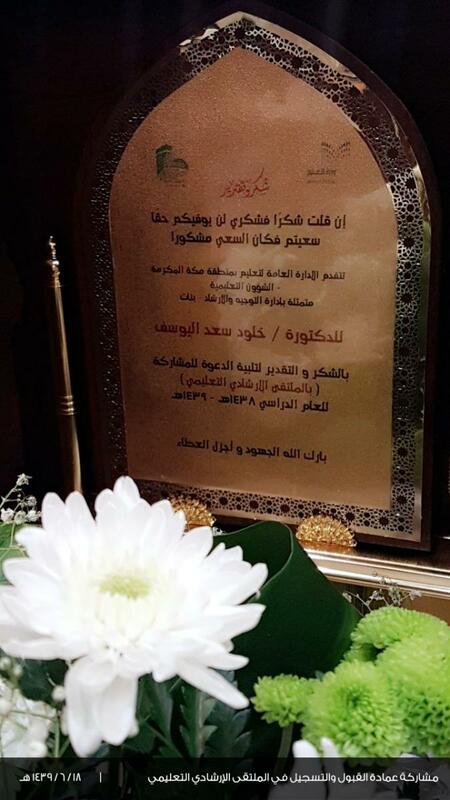 The Admission and Registration Deanship partook in the educational advisory forum in Makkah General Department of Education, at King Fahd Hall- May Allah rests his soul. 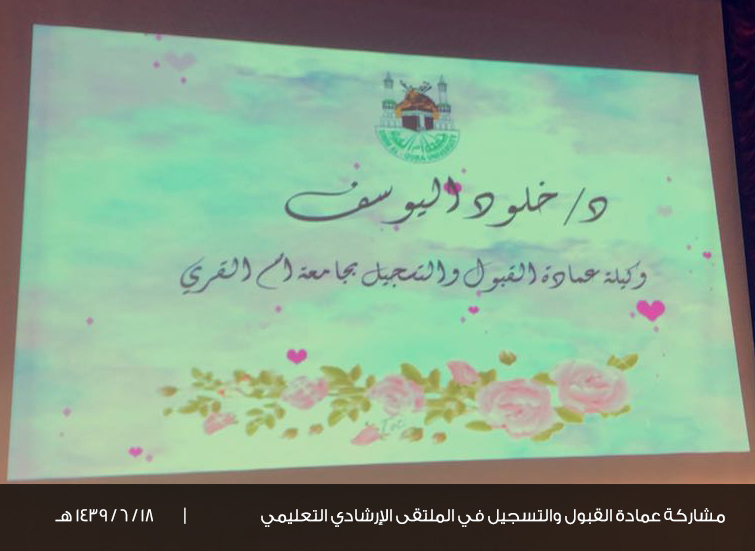 It was represented by the Deanship of Admission (Girls Section), attended by Dr. Kholoud bint Saad Al-Yousef and Dr. ShazaKhodran Al-Thebaiti, head of Admission Department, on Tuesday 18/06/1439 AH. 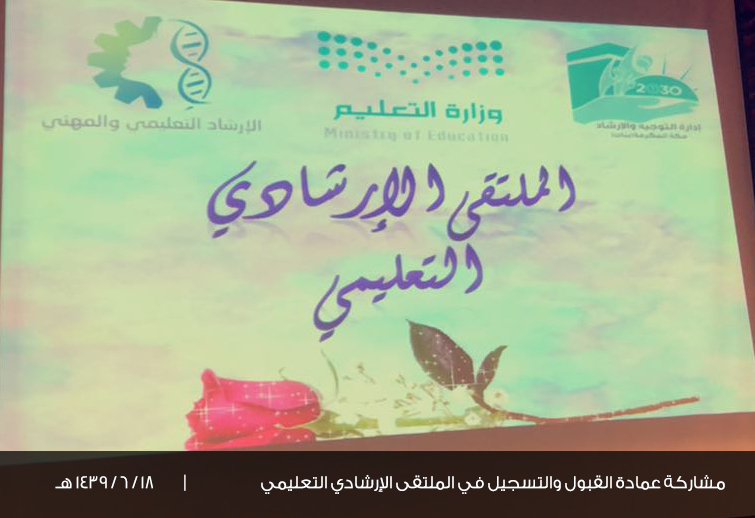 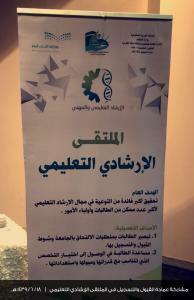 The deanship participation was represented by Dr. Kholoud’s speech in which she presented a detailed introduction to the Deanship of Admission and Registration at Umm Al-Qura University; in addition to elaborating its objectives, which are facilitating all the procedures through the use of technology, accuracy and excellence and speed in achievement, and the creation of the scientific climate by overcoming the difficulties and obstacles for male and female students. 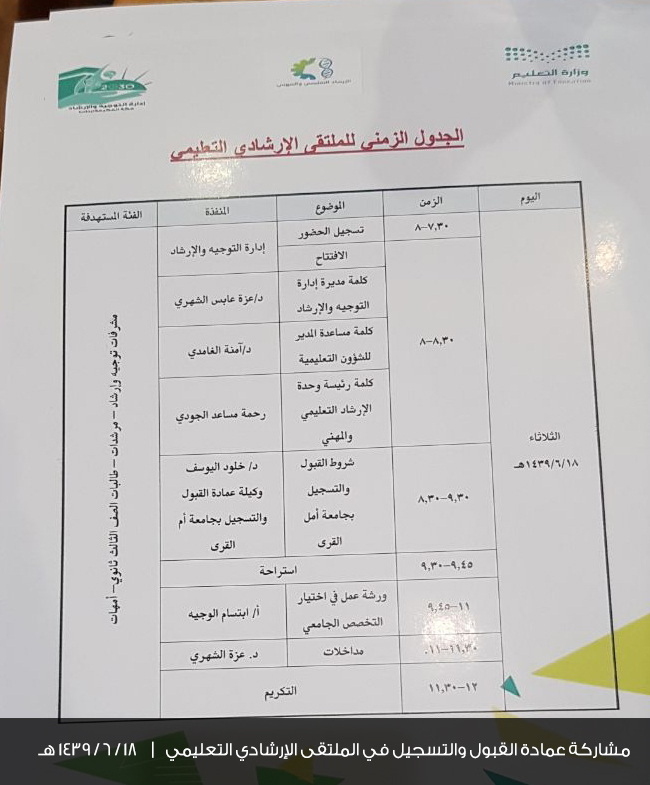 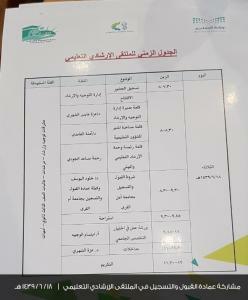 Then, the admission at UQU, its requirements, types, systems and criteria were highlighted; in addition to discussing some standards related to the interviews and special tests. 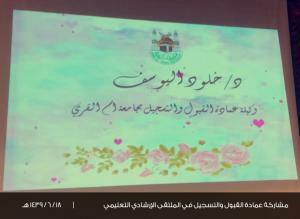 The meeting ended after answering the inquiries raised by the female students. 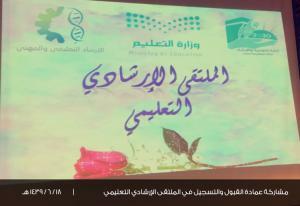 Dr. Kholoud was honored for accepting the invitation to participate in the forum. 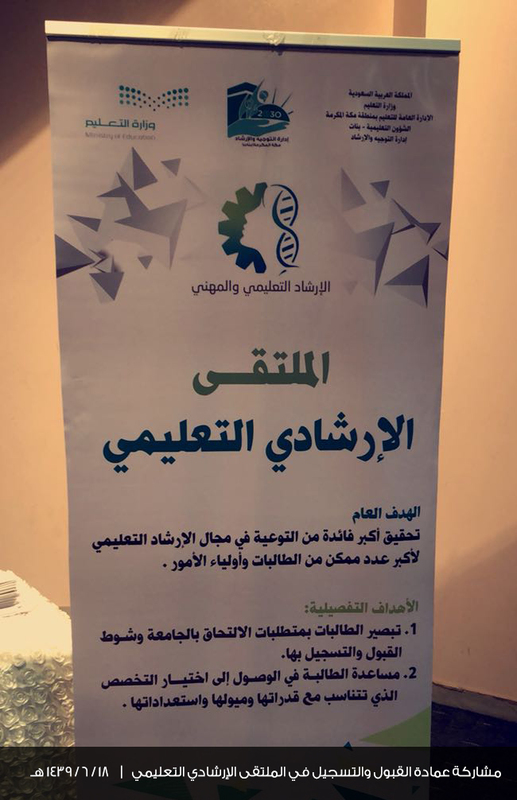 Finally, the vice dean thanked the Director of Counseling and Guidance Department, Dr. Azza Bibintnt Abbas Al-Shihri, and Ms. Rahma bint Musad Al-Judi, head of the Educational and Career Guidance Unit, for this initiative and the warm reception.